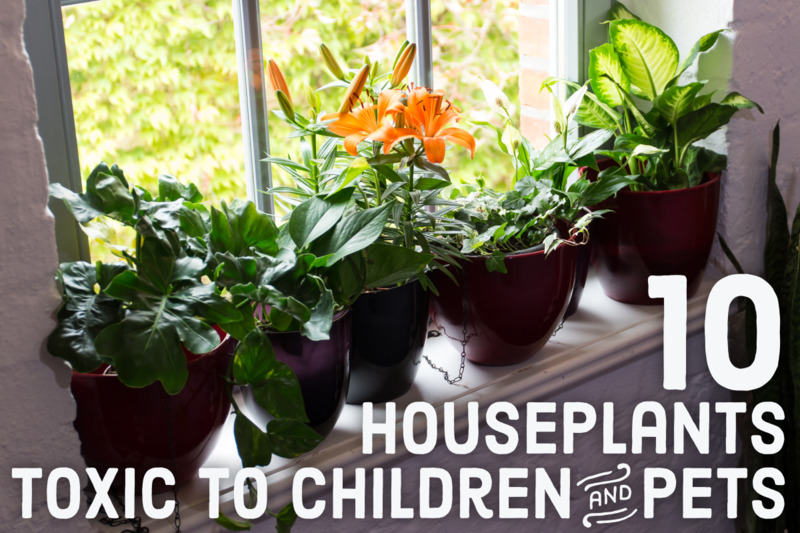 It's planting season and you're ready to start your garden. 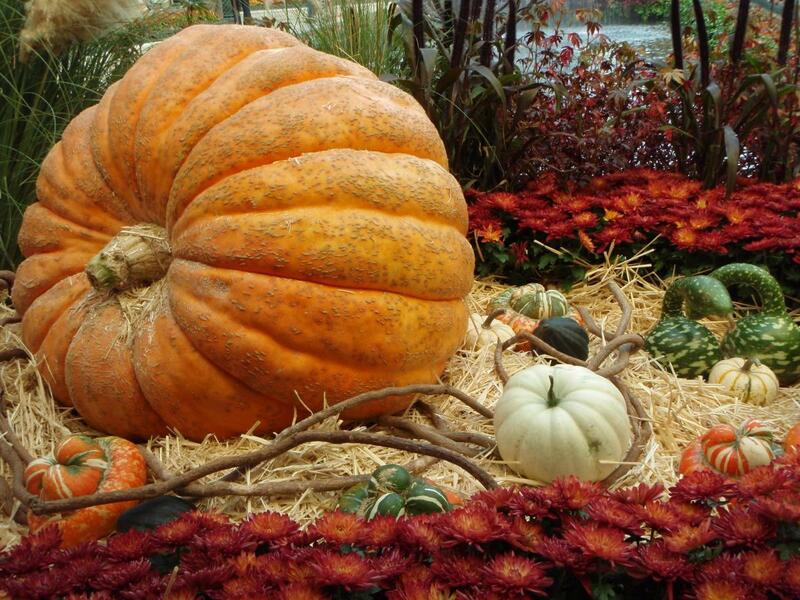 But it can be difficult to sow and sprout seeds directly in the soil. 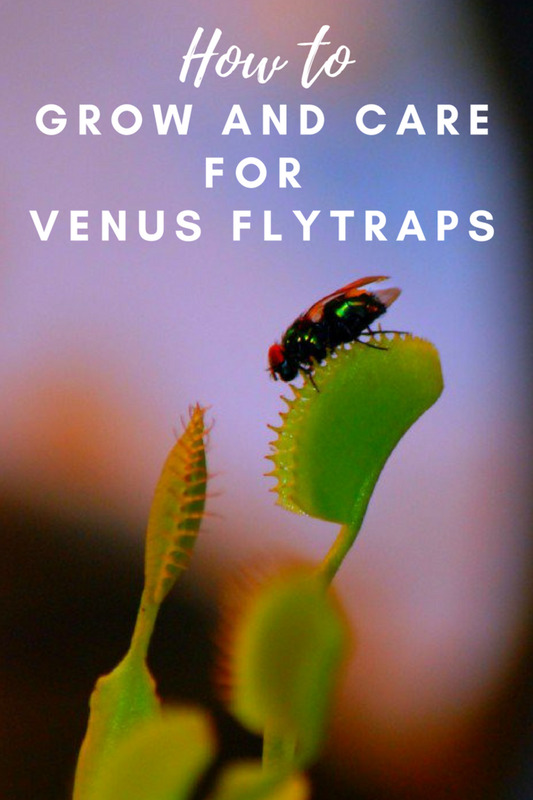 Many don't survive and weeds can interfere with the growth of your plants. Instead of buying more plastic seed-starter pots or expensive kits, try using some free materials you'd otherwise just be throwing out. Egg cartons and coffee grounds work great, and you'll be doing the environment (and your wallet) a favor. A waterproof plate or tray (to set the egg cups on). What Type of Egg Carton Should I Use? Styrofoam is not biodegradable and will not break down in the environment. Styrene, a major component of styrofoam, is believed by the EPA to be a potential carcinogen, meaning that it may cause cancer in humans and animals. 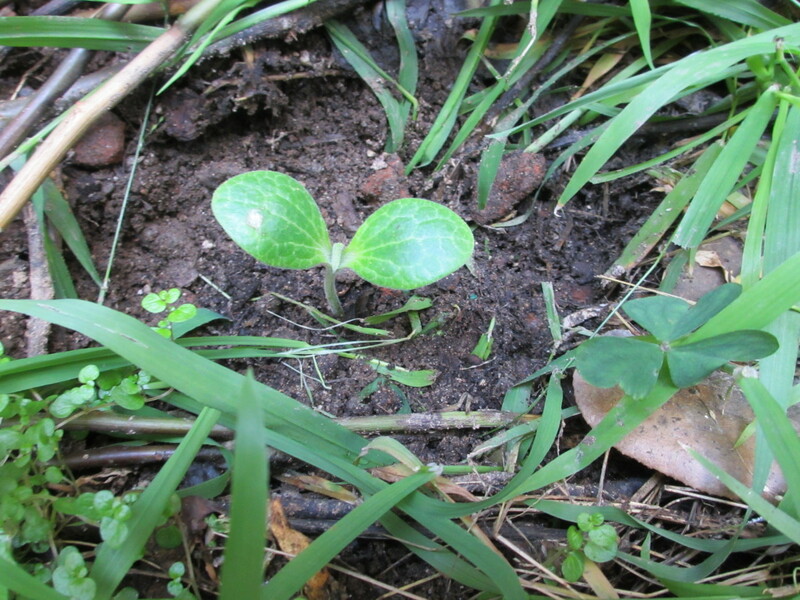 Styrofoam is not water-absorbent and will not soak up and retain moisture for your seedlings. Since styrofoam is made of such nasty stuff (both for people and the environment) it's a good idea to avoid buying eggs in styrofoam containers. 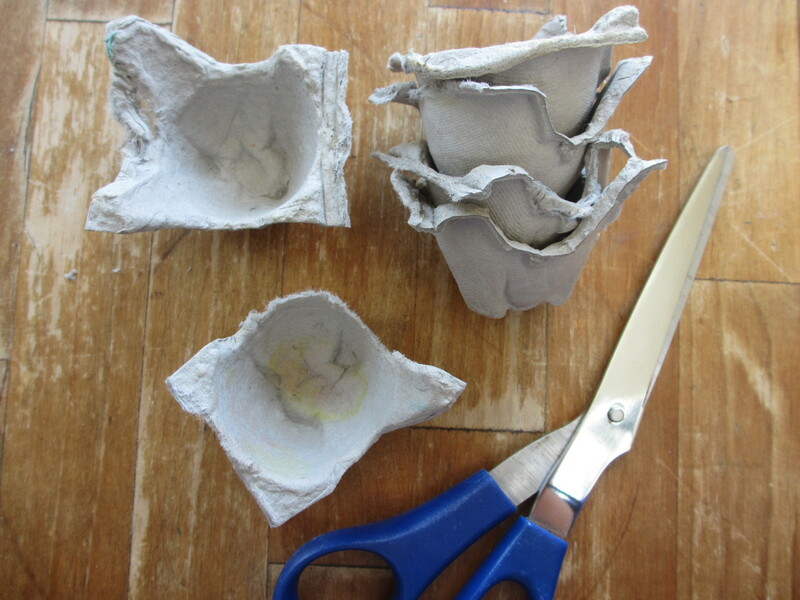 Paper egg cartons are much more useful, safe, and healthy, both for this project and many other repurposing and recycling projects. Coffee grounds are great for gardening because they add nitrogen, potassium, and phosphorus to the soil. In the case of your egg carton seedlings, they will also help maintain a high level of moisture. 1. Mix your coffee grounds with potting soil and set aside. I usually make a half-and-half mixture of equal portions soil and grounds. A soup bowl full of this mixture should be plenty for this project. If you aren't a coffee drinker, don't worry! You can always stop by your local Starbucks and ask for used grounds. They're usually happy to give them away for free. 2. Cut the cups of your egg carton apart. 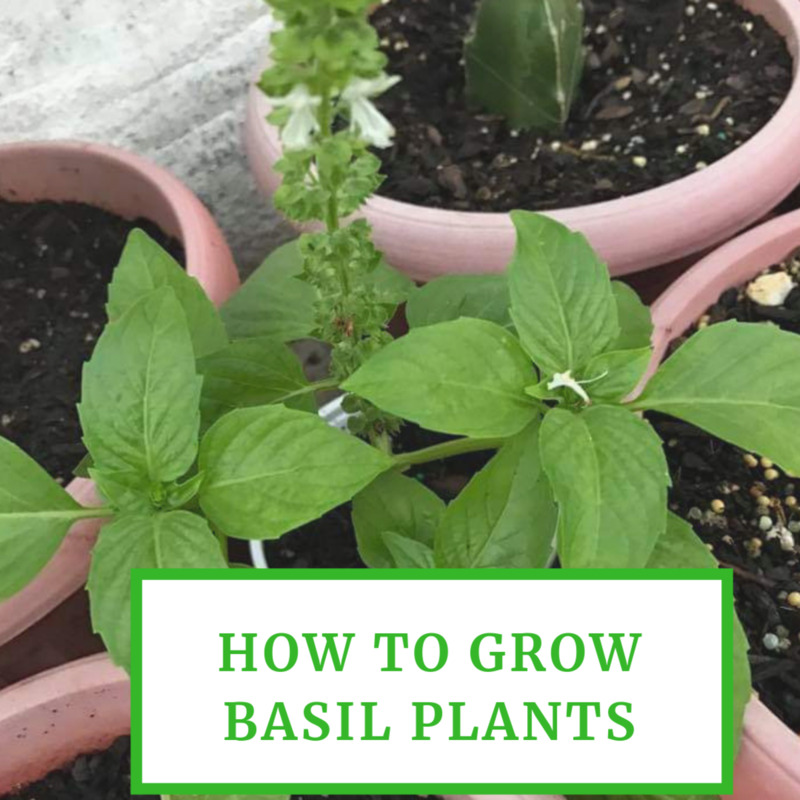 You can plant your seeds in the egg carton without cutting it apart, and you can also cut it apart after your seeds have sprouted, but I found that doing it in the beginning helps to prevent your roots from getting tangled later. It also keeps you from accidentally crushing or breaking sprouts while trying to separate the cups later. 3. Fill your individual egg cups about half full of the soil/grounds mixture. Keep the recommended planting depth in mind. You should be able to find this information on your seed packets. 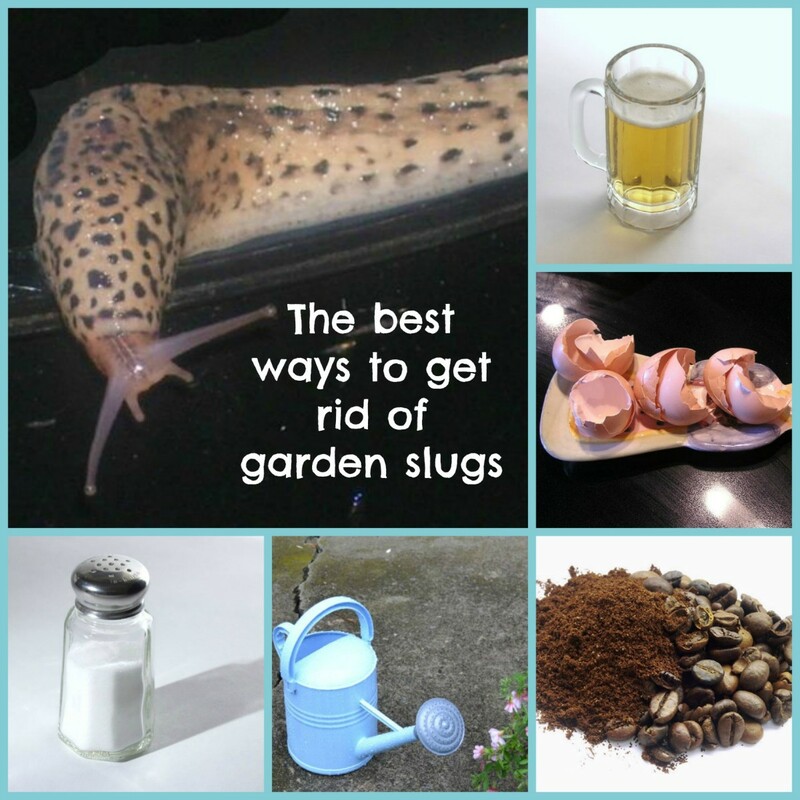 Some seeds will need to be planted deeper, so add less soil during this step for those seeds. 4. Add the seeds. Be sure not to add too many seeds to each egg cup. Overcrowded seedlings will often die off. 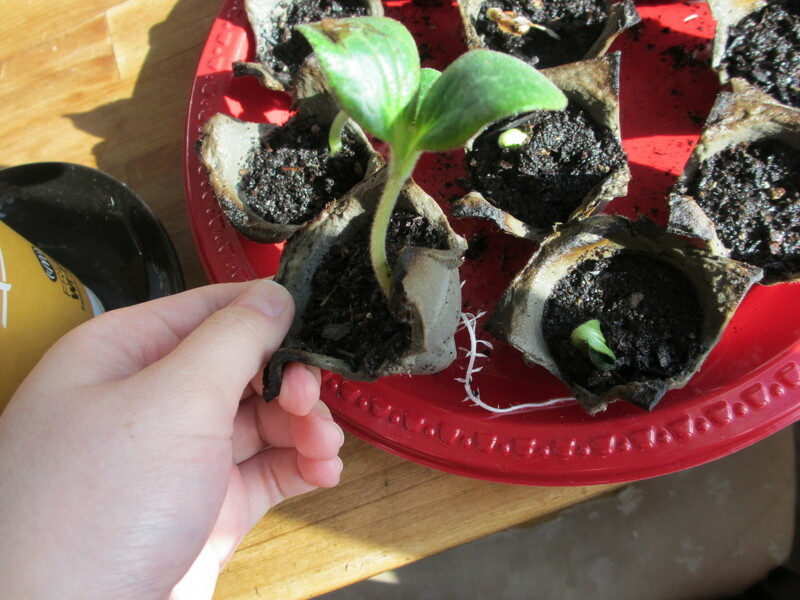 For larger plants like squash, I plant 1 or 2 seeds per cup. For smaller plants like cilantro and parsley, I plant about 4 or 5 seeds per cup. Remember that not every single seed will actually sprout, but that sprouted seeds will need room and soil resources for nutrients. 5. Cover the seeds with a thin layer of soil/grounds mixture. Once again, you'll need to keep the recommended depth in mind. Some seeds like more cover than others. 6. 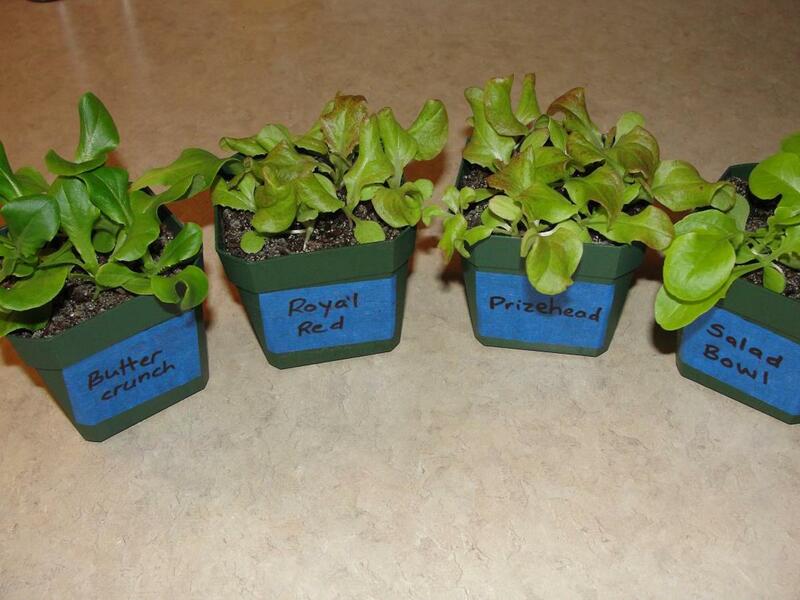 Place the seed cups in a waterproof container. I use (and re-use) a disposable plastic dinner plate. 7. Water your seed cups. Since your cups are in a waterproof container, you can simply pour water into the container. I pour water directly into the plastic plate rather than over the individual seed cups. 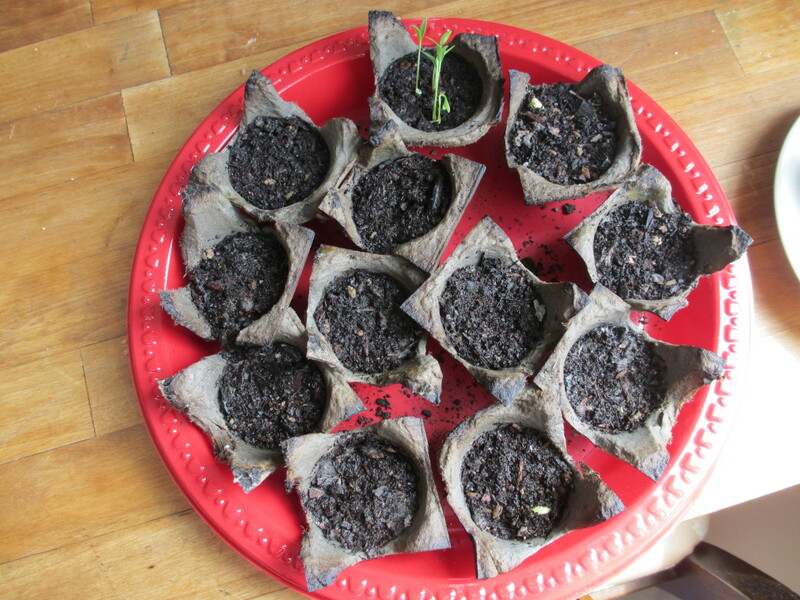 The paper of the cups will soak up the water, keeping your seeds moist. I maintain about a centimeter of water in the bottom of the plate at all times. 8. Place your seed cups in the sun. Different plants have different sunlight requirements-- the seed packets of your plants should give you the particulars. But all plants need sunlight to grow. Be sure that your seed cups are in a place where they can get enough sun. Water your cups regularly and watch your seeds sprout and grow! 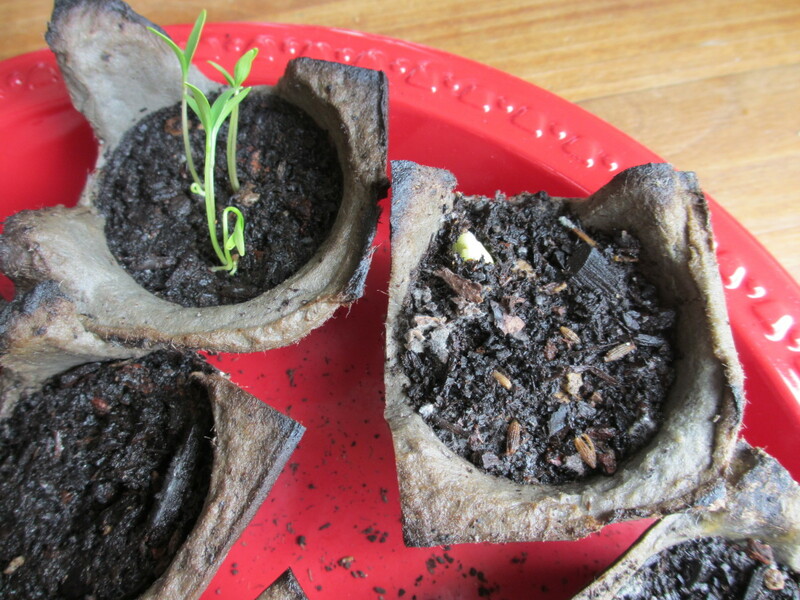 The nice thing about using paper egg cups is that once your seedlings are sufficiently grown, you can plant them directly in the soil, paper cup and all. As you can see in my photo, the roots will be able to grow right through the paper, which will break down into compost eventually. 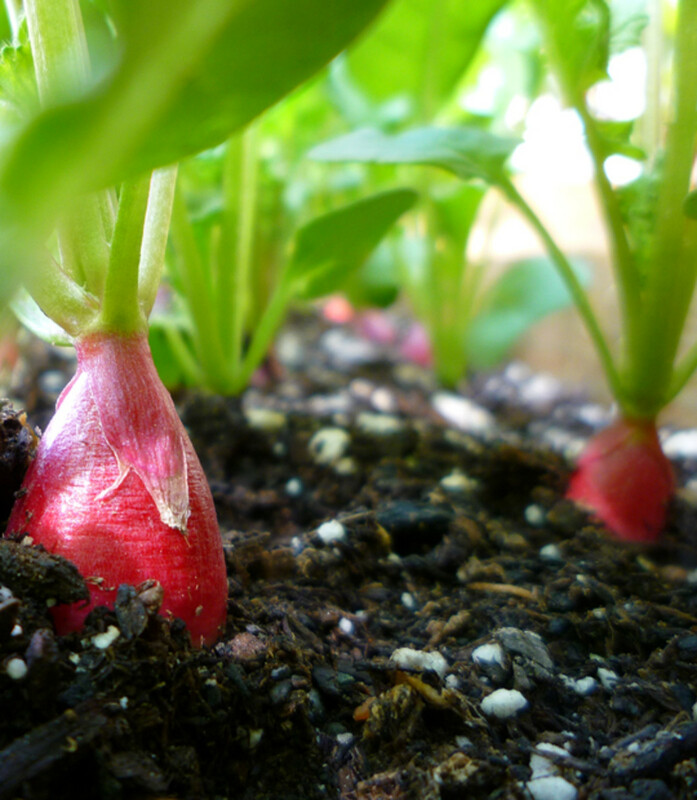 The paper will also help your newly-planted seedling's roots stay moist until it breaks down. Some seedlings' roots may outgrow the egg cups before they're ready to be planted outside. 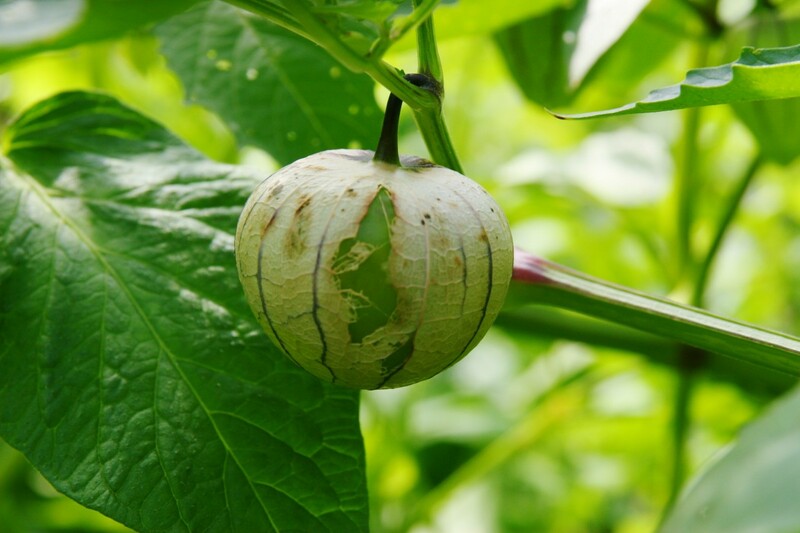 When this happens, you can simply plant your seedlings (egg cup and all) into a larger flower pot or container. I like to save disposable paper cups for this purpose. 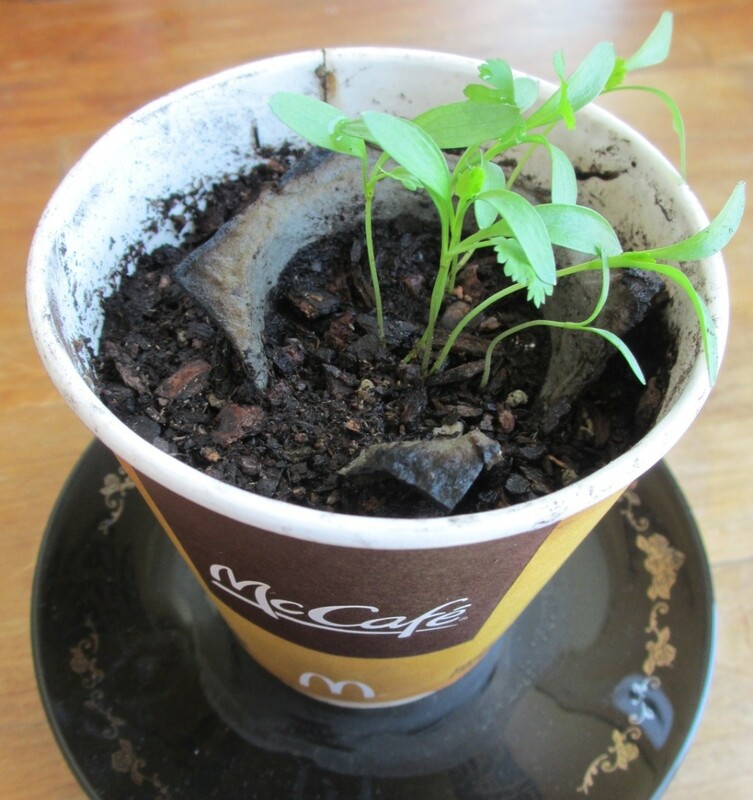 When your plants are big enough, most paper cups can also be planted directly into the soil. They'll break down into compost eventually just like the egg cups. Can I grow lemon seeds in an egg carton? Can you use this method for starting cactus seeds? Cactus seeds should grow just fine, but you will need to make sure you use a sandy, loamy soil and I'd recommend planting only one seed per egg cup. Some may not sprout, but if you have two or more sprouts in a single cup, they'll be hard to separate with your fingers later because of the spines. 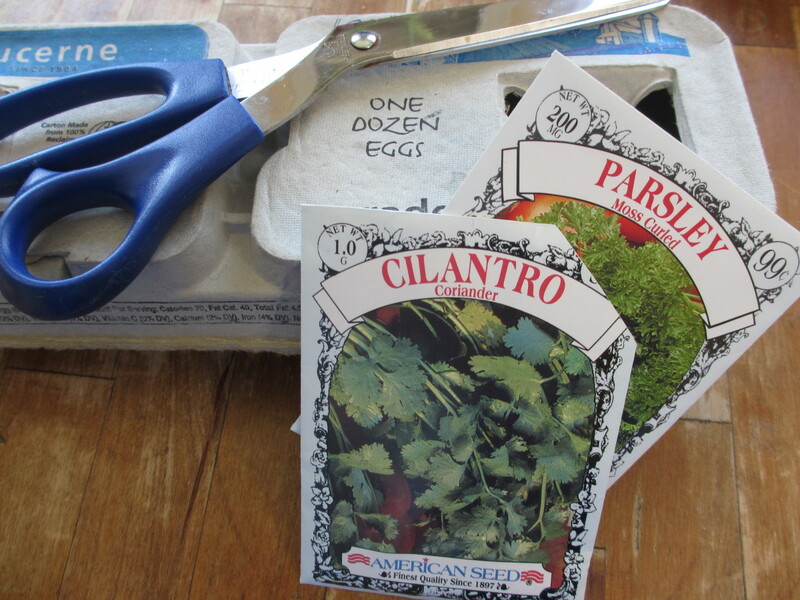 What a clever idea to reuse the egg cartons for growing seeds of herbs and what not. I might consider giving it a go this spring. Voted up for useful! This is great. I just bought little seed holders for 65 cents which I thought was a deal, but this is the perfect recycler. I'm going to leave the carton whole and put it in a glass dish to water from below. Then there will be gifts of sprouted seeds. I do this too! I also use plastic fruit, pudding, and jello cups as reusable small "starting" pots for seedlings that transplant easily. I just poke a few holes in the bottom, fill them with my starting mix, and I'm off and running! Great idea, it will save me a few bucks on those plastic seed starting trays. That's wonderful idea. I have a lot of egg plaatic containers, which we usually throw it away. This is very useful. Aside from cilantro and parsley, what are other seeds that i should try? Thanks for the tip on coffee grounds - I knew you could add them to compost and as worm food but had no idea that they were good for seedlings as well. BTW, I also use toilet roll inners, standing on a tray to sprout seedlings - they also work well. People like Wabash Annie, are probably familiar with using egg cartons but you are introducing them to a whole new, environmentally conscious age group. Great hub with lots of helpful pictures. I was especially impressed with the coffee grounds! I used egg cartons many years ago and completely forgot about it. Thanks so much for reminding me what a great idea it is.